Despite their engaging stories and fantastic gameplay, previous installments of the Dragon Age series have been panned by critics for not being the prettiest games out there. 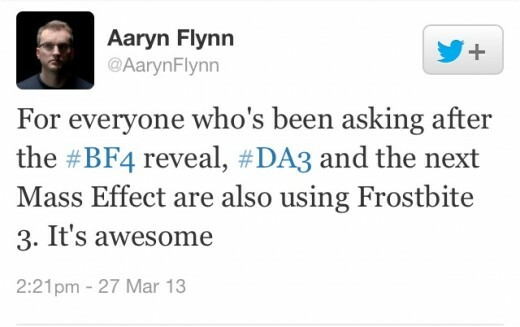 Bioware has taken this to heart and decided that utilizing the advanced Frostbite 3 engine would be best for the development of Inquisition. Frostbite 3 has been used to power games like Battlefield 4 and Need for Speed: Rivals, and next month, Inquisition will be the next game to take advantage of the system's graphical prowess. Screenshots of the game have been making their way around the internet, and if they're anything to go by, Inquisition is going to be one of the best looking releases of 2014. I've logged in over 120 hours on Dragon Age: Origins and Dragon Age 2 collectively, and I'm hardly a completeist. If you're the type that likes to partake in absolutely everything a game has to offer, however, then Inquisition should keep you plenty busy and satisfied. According to one of the producers of the game, Cameron Lee, "A completist playthrough takes more than 200 hours." Those 200+ hours include the game's main storyline, side quests, crafting, customizing and exploration of Inquisition's vast semi-open world. Those of us who are content to simply enjoy the main plot will reportedly only need 20 to 30 hours to do so. Even if you are a dedicated to play the game as a completist, you likely won't get to see all there is to it in one playthrough. According to IGN, certain areas of the game's world are restricted unless you've made certain choices, meaning you'll need to either load up an old save before making those choices or start a new game entirely to see the results of alternate decisions. Either way, 200 hours is more than enough time to soak in all the good stuff Bioware is promising to deliver with Inquisition. It should be fun. The fire lizards of the Dragon Age franchise have always been impressive. 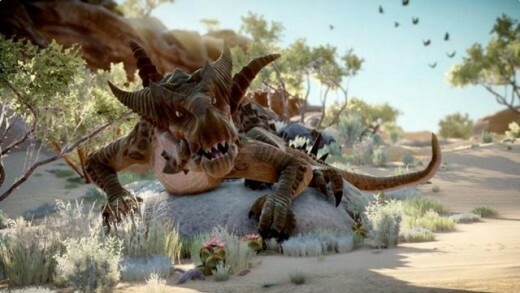 From the demonic Archdemon of Origins, to the bone-pit dwelling high-dragon of Dragon Age 2, the in-game mythical, winged-behemoths have always been forces to be reckoned with. Bioware has taken care to make these foes even more formidable in Inquisition by making each one you meet unique from the last and changing the way you encounter them. According to Bioware's creative director Mike Laidlaw, "They all have their own personalities and hunting grounds and lairs." In addition, sometimes you'll find that you've walked into the heart of a dragon's hunting ground, and at other times, you'll have to seek their lairs out. While exploring a dragon's lair, you'll likely run into a batch of it's children. These baby dragons (or dragonlings) make up the prelude to the real thing, but are almost just as dangerous since they tend to come in groups. You can always choose to retreat from battle if you find that the scaled infants are too much for you, but if you manage to reach the full-grown mother dragon, you can take her down by targeting each of her individual limbs in combat. With the dragons presenting such a fearsome challenge, it makes sense to speculate that defeating them may very well yield some worthwhile rewards. For instance, defeating the high dragon in Dragon Age 2 rewarded the player with the best armor set in the game. With Inquisition it's easy to guess that the same thing might happen. After defeating a dragon, you might happen upon a rare weapon that you wouldn't have received otherwise. In any case, the dragons of Inquisition should prove a worthy and rewarding challenge in themselves. Best make sure you're ready for them. Taking a page from the Mass Effect 3 playbook, Bioware is introducing multiplayer to the third iteration of the Dragon Age series. 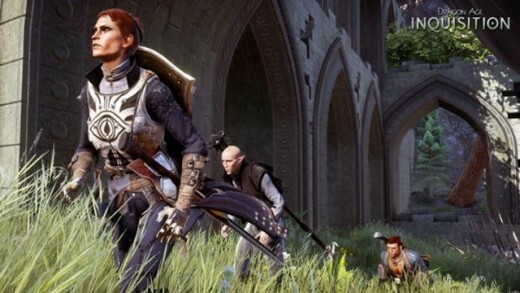 In the new four-player co-op mode, players will break away from the main quest and take on the role of an agent of the Inquisition. There will initially be three main campaigns for online players to tackle with more expected to be unlocked and added over time. 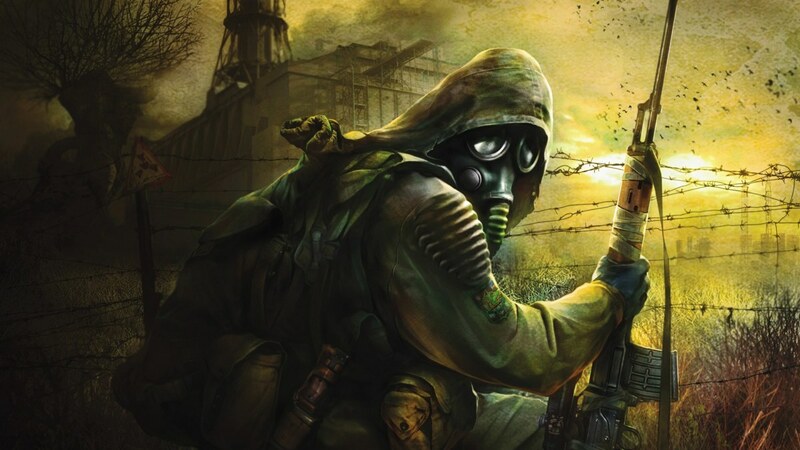 The areas will be randomly generated and each match will reportedly last for nearly half an hour. The level cap for all characters is 20 and upon reaching it, you can promote them, giving them an extra attribute point. New characters are unlocked by gaining their armor which can be found during matches, crafted with materials acquired in-game or purchased with in-game gold. Bioware has taken note of some of the criticism the last time they tried to implement multiplayer into one of their games, which is why they've made sure that the mode will have no subscription service, impact on the single player game or exclusive multiplayer achievements. If you don't want to worry about the multiplayer, you don't have to. If you've always wanted to play Dragon Age with others, this mode is for. I'm a beta tester of what is perhaps Bioware's most interesting and dynamic application for the Dragon Age series. The Dragon Age Keep. 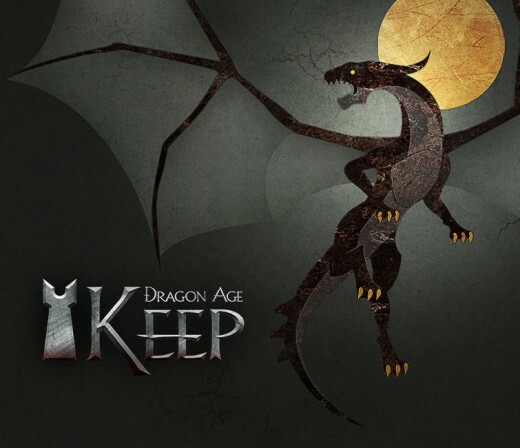 The Keep is a free, online hub that allows anyone to pick and choose specific and important decisions made in Dragon Age: Origins and Dragon Age 2. Basically, this allows players to import their world states into that of Inquisition to maintain in-game consistency. The choices you make in these games matter, and Bioware is making sure these choices are recognized when you boot up your copy of Inquisition. You'll need to sign up for an EA origin account to use the Keep. 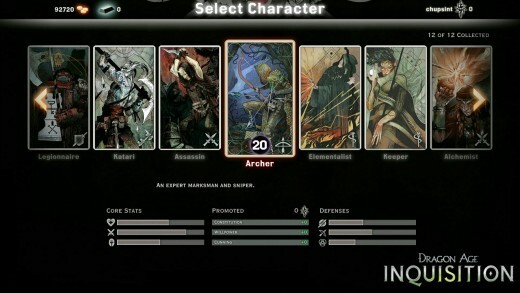 In addition to computers, people will be able to access it from various devices such as tablets and smartphones and from there, be able to alter multiple key decisions made in each of the Dragon Age games. 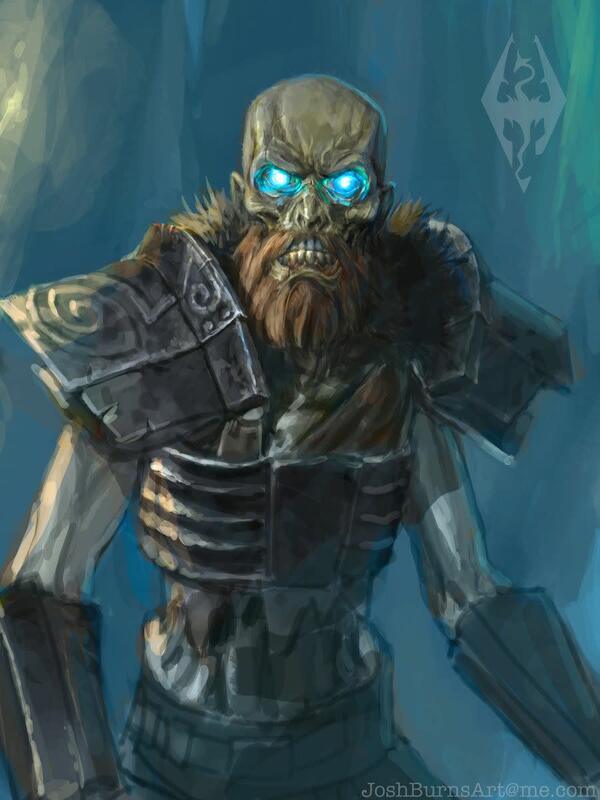 For newcomers to the series, the Keep will offer a codex of information on the game's lore, characters, places, and events to get them up to speed. This is great, because there are approximately 300 possible choices to be made within the keep. If the Keep seems a bit overwhelming to you, then you're in good luck. It's not at all required to play Inquisition. It's simply a tool used to further immersion into the Dragon Age world. Those who choose to forgo the Keep don't have to worry about making story choices and can hop right into Inquisition with a pre-built world. 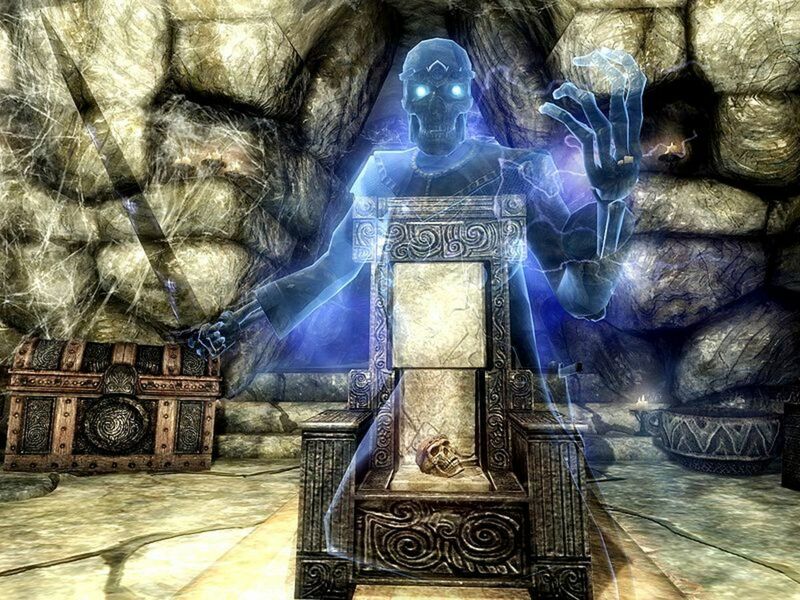 For many, however, the Keep is perfect for shaping everything they need to without replaying the old games. The Dragon Age Keep will go into open beta and be released to the public on October 29th so make sure to mark your calenders! Which of Inquisition's features are you most excited about? Electronic Arts is infamous for straight up lying about their games to the consumer base. It's unfortunate but their word of mouth on how long their game is, is not trustworthy. They also said the same thing about Kingdoms of Amalur, and that game only turned out to be about 72-90 hours long when you completed everything. I'm not knocking that length, that is pretty sufficient time, but Dragon Age Inquisition will follow the same suite. The devs also said between 150 to 200 hours. 1. I call it tacked on because one of the developers said that he didn't even have to use it during his entire playthrough of the game, that the game was simply that easy. I also call it tacked on because the game's core focus shifted more toward an action RPG and it's inclusion is entirely unnecessary and just an attempt to get the old school crowd into the game. 2. I'm well aware of their explanation of attempting to break the golden triangle. Many people have already explained in detail why this is also a really bad idea and why Dragon Ages attempt will ultimately fail as others have failed before it. They likely are not lying about the length of the game since one of the game devs tweeted as he was playing the game himself and his play-through was 120 hours (not completionist). But they said outright that the main story is 20-40 hours (which is still a lot), so obviously you can beat it much faster if you rush through the main story. 1. It's versatile with a user-friendly strategy mode (that was developed with the rest of the game, so I'm not sure why the previous commenter called it "tacked-on") but also a great real-time combat. Both work, so you are not constrained to one or the other. In all likelihood 200 hours is a lie. The game will probably clock in around 92 at best which is still impressive, but if they're lying about the length again like they did with Kingdoms of Amalur then I'm avoiding this game like it's radioactive. Some other things about the game. 1: It's an Action RPG with a tacked on management system, that people claim they don't even have to use. 2: They removed all healing spells.